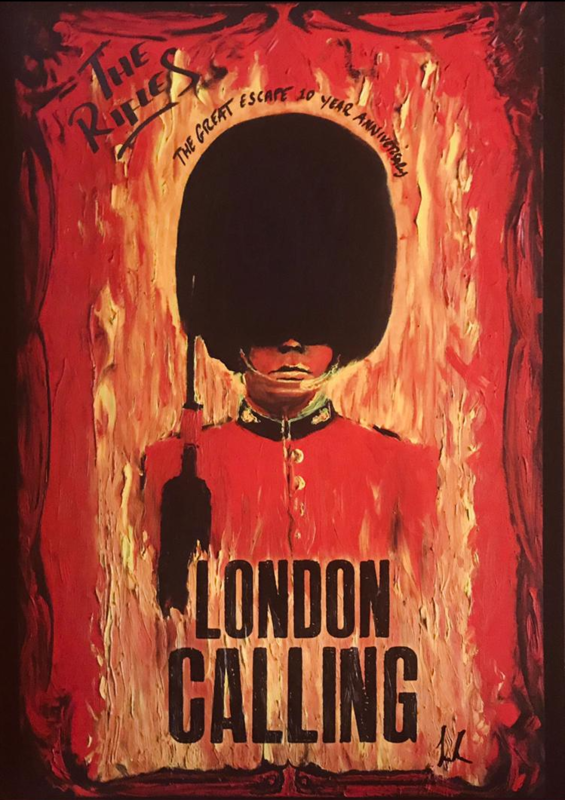 To celebrate the rifles 10 year anniversary of the great escape, there will be a very limited special “London Calling” run of the Rifle man print made available taken from Luke’s original oil painting and scanned at fine art solutions for the best possible reproduction. Limited to 100 Copies and each print will be hand written numbered and signed with a 2nd option available of having a lyric from any song featured on the great escape album maximum 10 words. For lyric requests, follow up with an email to the PayPal address. If we don’t hear from you we will email you. A2 size, each signed and numbered. lyric from any song featured on the great escape album maximum 10 words.